Here’s a serious question for you: If you could be any princess, who would you be? Kate Middleton? Elsa from Frozen? I’d choose Charlotte of Monaco. The woman is pure glamour (she’s Grace Kelly’s granddaughter after all), and seems to live a life of galas, yachts and horseback riding. Why do I ask? (Aside from, you know…general curiosity?) Because Variety BC’s newest gala One Night in Monte Carlo is coming up on April 8th, which means a princess’s gown collection would come in handy. The gala will feature live entertainment, a red carpet, bespoke cocktails and fine dining at the Pinnacle Hotel in Vancouver. But the best part? It benefits Variety’s mobility program, which provides Sunshine Coaches for community organizations and offers safe, wheelchair-enabled transportation for families with children needing support. I’ll be there! Will you? Get your tickets here. Now, if you have a princess’ gown budget, you’re already set wardrobe-wise, I’m sure. 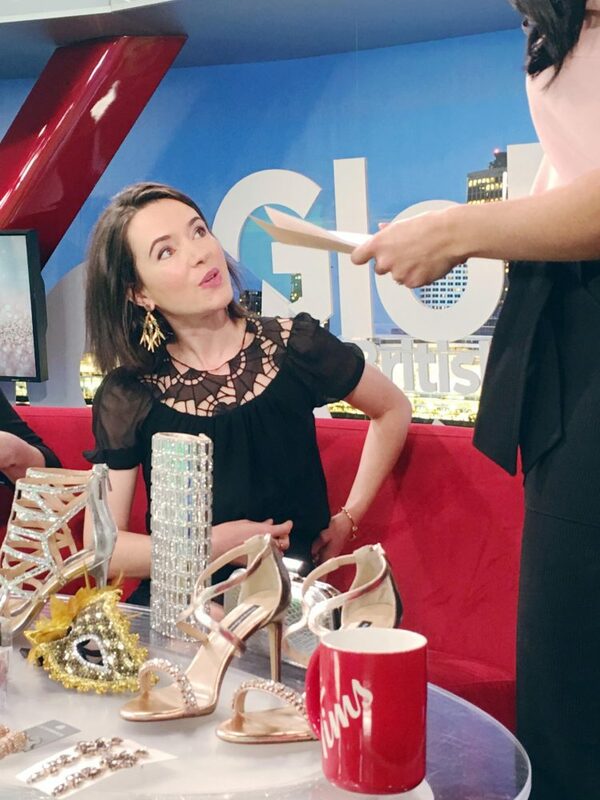 But if you need a little inspiration for what to wear on a less-than-royal budget, I stopped by Global BC to share some ideas from Hudson’s Bay, Aldo, Town Shoes, Le Chateau, H&M, all provided by Coquitlam Centre. Take a look. Thanks for having me, Variety and Global BC! And thanks as always for your help, Jerome Insorio!